See how Well-Bean is turning the Triangle's offices into trendy, tasty and fun local cafes with their flagship Bean-To-Cup brewing system. We are the coffee roaster, not a third-party coffee distributor. Experience what fresh coffee really tastes like. 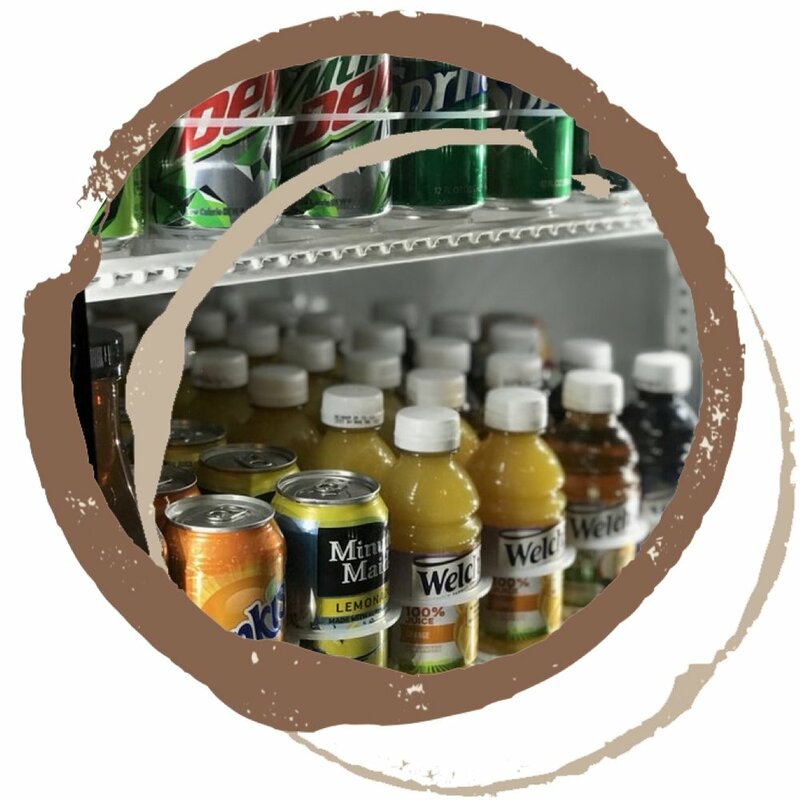 Bring an upscale “grab & go” convenience store to your office with fresh & healthy options for your employees. Go above & beyond for your employees. Transform your break room with a cupboard of snacks, sweets & drinks. Schedule your free coffee tasting experience or request a free coffee sampler pack! Well-Bean Coffee is “small-batch roasted” to order, ensuring that wonderful Well-Bean flavor in every cup. In addition to our small-batch guarantee, our coffee is delivered locally to you no later than two days after roasting, which means any time you order coffee from Well-Bean, you are guaranteed the highest quality bean, roasted to perfection & delivered fresh to your door. Everything from Bean-To-Cup Coffee Machines and High Capacity Brewers to Simple Keurig, Well-Bean has the right machine for your small team of 5 to your large army of 10,000+. Not sure which machine is right for you? Contact us for some friendly professional advice. We can even come to your office to and set up a no-obligation coffee demo. Consolidate your vendors with our break room Management service. “At the Kerr YMCA, for our recent annual members appreciation week, Well-Bean offered to set up their coffee service on a trial basis. Needless to say, we’ve never looked back. Our members and staff can’t stop raving over the quality of the coffee and equipment. We added Well Bean coffee in our physical therapy clinic! It has been a hit. The coffee is amazing, and the service and people are even better! Our patients love the coffee and even our UPS guy grabs a cup every day he comes in! Highly recommend Well Bean Coffee! “Well-Bean Coffee Company has provided top notch service for Precision Biosciences for over a year.